The magic smoke escaped from this backstage power receptacle with a flash and a bang. From the outside all looked fine. 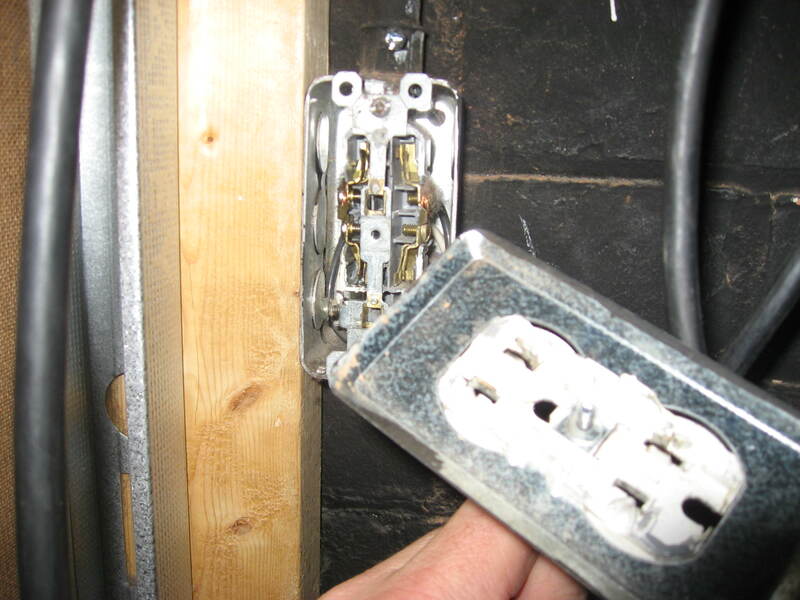 When the cover was removed it was revealed that the receptacle had split in two and was making its own random electrical contacts.